Berry pudding (also called summer pudding) is one of my favourite summer desserts. It’s packed with goodness and bursting with flavour. 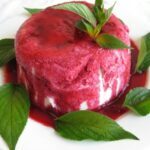 Berry pudding is a perfect dessert for a hot Australian Christmas and by far healthier and more refreshing than a traditional Christmas pudding. Its crimson red colour and green garnish match perfectly the traditional Christmas theme. We have just enough strawberries from our garden to taste, but usually go to the berry farms to pick larger quantities. My family’s favourite u-pick places around Melbourne are Kinglake area and the Dandenongs. The pudding on the picture is slightly smaller (4 cup capacity). Besides being easy to make, healthy and really yummy, the pudding is a great way to use some dried out bread. 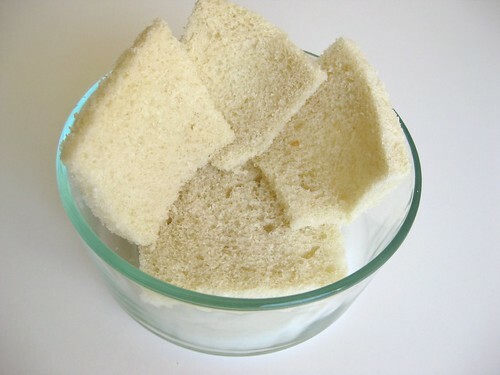 For more idea on how to use the old bread read the post 12 ways to use up old bread. Sweet breads like brioche are also suitable for the summer berry pudding. If brioche is too rich for your liking, homemade pain de mie is perfect. You can substitute 1/3 to 1/2 of the berry quantity needed with some other type of fruit like peaches or plums if berries are too pricey or you’re short of the quantity needed. 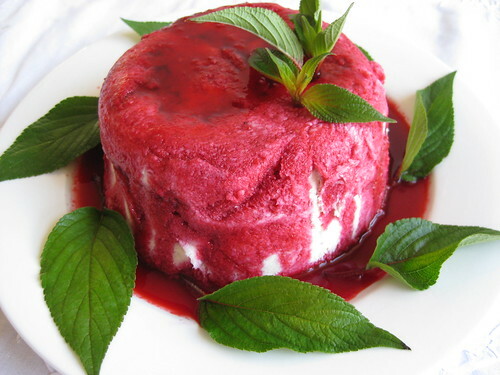 Berry pudding (also called summer pudding) is packed with goodness and bursting with flavour. It's a perfect dessert for a hot Australian Christmas and by far healthier and more refreshing than a traditional Christmas pudding. To serve, remove the plate, loosen the sides of the pudding with a spatula or a knife, place the serving plate on the top and invert the pudding onto the plate. Pour the reserved juice if any left, decorate with fresh berries, mint leaves or to your liking.Serve with whipped cream.